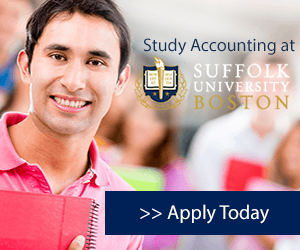 Accounting is one of the most popular degrees an international student can obtain. You will have the opportunity to work with numbers in a critical way - working with people and organizations to meet various goals and objectives. The discipline is certainly growing, and gives students the opportunity to have a successful career internationally or in their home country. Does it matter if I have large or small classes (does personalized attention matter)? Does the program offer a specialization that I'm interested in learning more about? Does the program help me find internship opportunities and are there possible career connections after graduation? It's also important to make sure that you evaluate your credentials and finances to make sure you choose a school within your means. Many universities throughout the United States offer outstanding accounting programs which stand out worldwide. Depending on where you want to live and study, there are several highly regarded accounting programs throughout the country. Interested in seeing what schools offer accounting programs in the US, see your accounting school options and learn more. Accounting has proven to be one of the most secure jobs throughout a number of different industries. Why, you may ask? Accounting is vital to all businesses in every industry. Every company has accounting books and needs qualified accountants to make sure that they are on the path to financial success. To meet this demand, accountants can find themselves auditing, consulting and, of course, as a traditional accountant or financial expert with major companies. Another major role of an accountant is to be an expert when it comes to taxes. The US tax code (not to mention, tax systems around the world) can be very complex and difficult to handle, and people often hire accountants to help with filing their yearly taxes or even company taxes domestically or internationally. People with a degree in accounting even have the option of opening their own accounting firm or to work at a Certified Public Accountant (CPA) firm. The usual program length for an undergraduate degree in accounting is four years, although some students excel in the program and graduate in three years. It is also common for some students to graduate in close to five years, as accounting courses can be very difficult, and often students take a break to work in an internship position	for a semester or academic year. This ensures some practical experience, as well as some course credit available. International students will take courses in finance, statistics, mathematics and business. The complex courses make the typical course load of a student very intensive. Accounting majors are required to take about 120 credits to graduate with a bachelor’s degree in accounting. After undergraduate school comes the opportunity for advanced education like a master’s degree in accounting and even a CPA designation. In order to sit for the CPA exam, students will need to have an additional 30 college credits past the undergraduate degree. International students studying accounting in the US should ensure that they are in best location to be successful in their future careers. It is important for students to find the right school, in the right place. The United States offers schools in many different regions, with different cultures, climates, and cities. Depending on an international student’s interests and hobbies, the right region could make or break an educational experience. Students should decide between cities or rural, warm climate or cold climate, as well as many other important characteristics. Visit the Study in the USA School search to find schools that offer programs of study in Accounting. Over time we will be updating this section and including more information for those who want to study accounting in the USA and for other countries, but please feel free to post your thoughts and comments on our Facebook fan page, and also follow us and post questions through Twitter.